In this day and age, the launch of a new EV is hardly ground-breaking. Heck, every man and his dog seems to be getting down to the electric vibe. However, you may have noticed that pretty much every new EV is designed for purely on-road exploits. 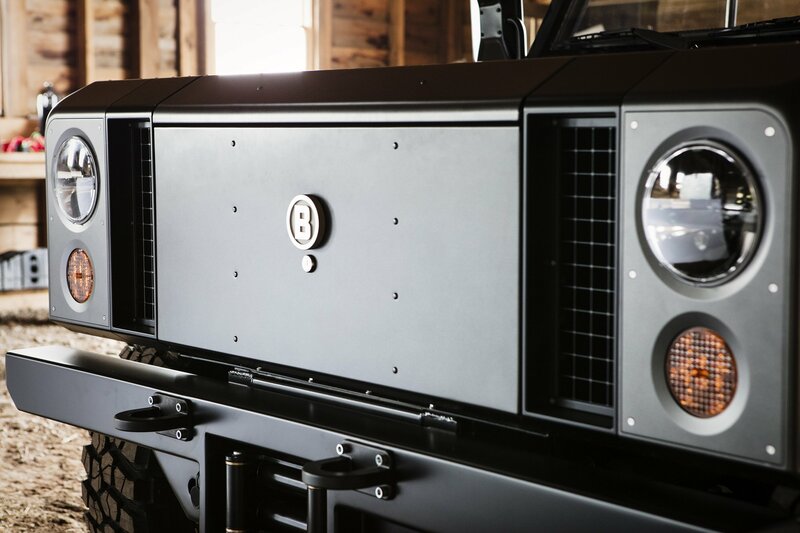 The Bollinger B1 is here to change that. No this isn’t the same Bollinger that makes the rather expensive fizzy grape juice. 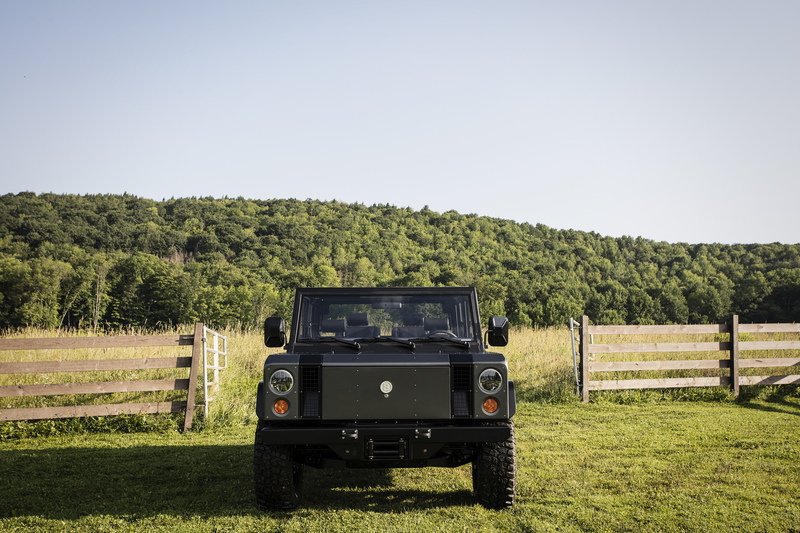 Instead, Bollinger Motors is based out in New York State, US of A and is the creator of the world’s first electric SUV. We’ll be straight with you, the B1 does look a little bit homemade. 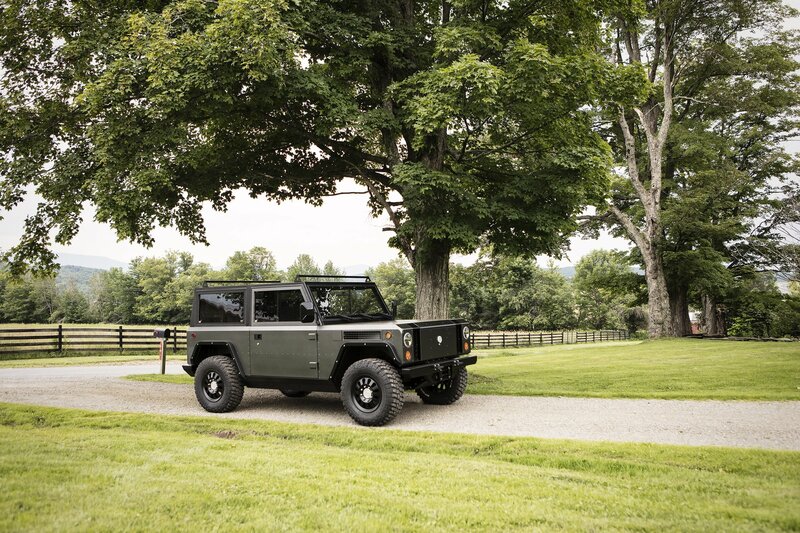 It makes a Land Rover Defender seem luxurious, in fact. However, the no nonsense approach to aesthetics is kind of endearing. 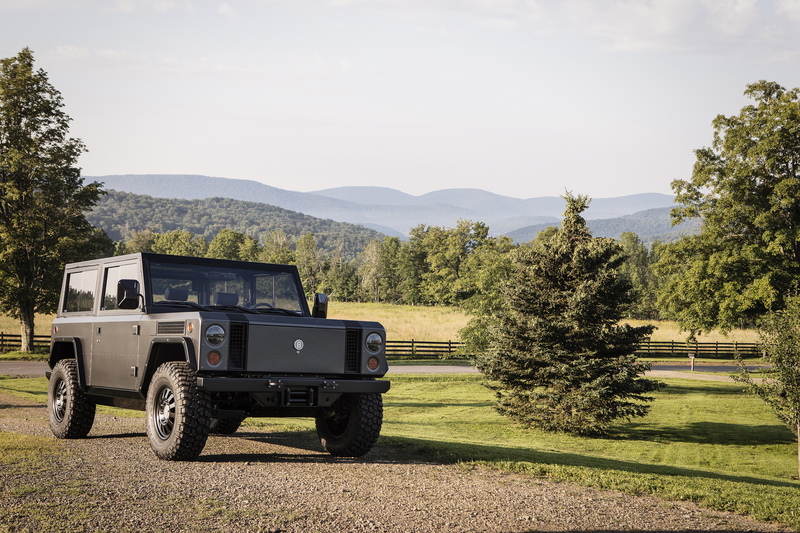 The Bollinger B1 was built with one purpose: to the best offroad truck around. To that end, it has full-time four-wheel drive courtesy of two electric motor units (one up front, and one powering at the rear) and a 50:50 weight distribution. 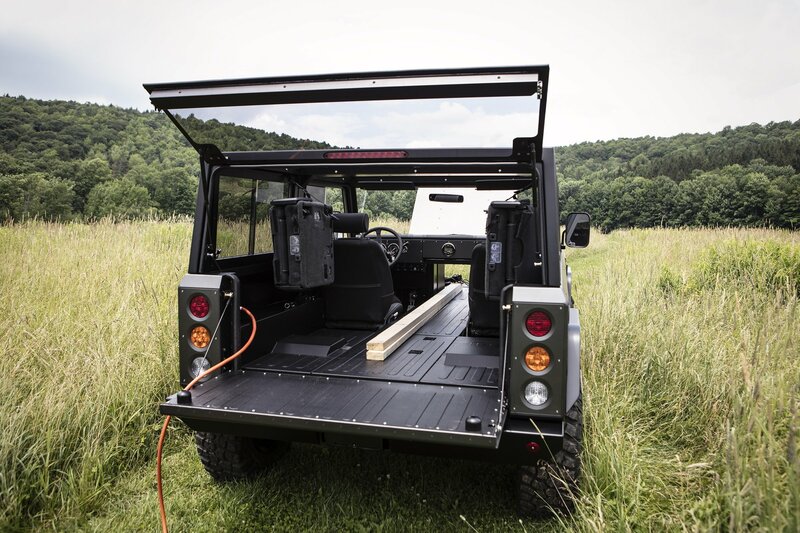 The chassis is an all-aluminium affair to keep weight down, while there’s a steel rollover structure to add extra stiffness and protection should you cross-country adventure get a little bit too extreme. There will be two battery options available to customers when the Bollinger B1 officially goes on sale (a date hasn’t been confirmed yet, though Bollinger expects it to be around 19 months after production is finalised). The entry-level 60kWh pack provides a range of 120 miles, with the 100kWh boosting that to 200 miles. Compared to a lot of full EV options out there, that is impressive – though no one outside of Bollinger has actually seen a B1 in motion yet. Once it does get up and running though, expect it to be suitably pokey. 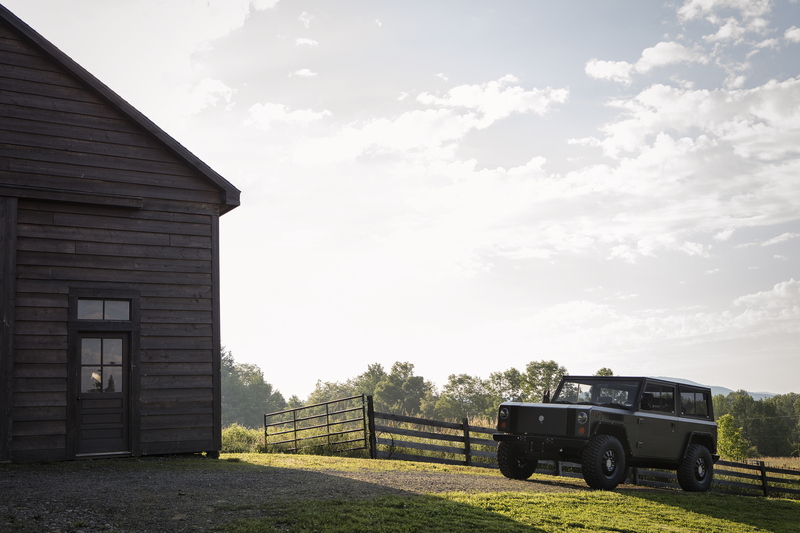 With 270kW on tap (that’s equivalent to 360hp), the Bollinger B1 is no slouch; 4.5 seconds is all it takes to sprint from 0-60mph, meaning you’ll leave any Defender driver choking on your emissions-free dust. There’s a conventional connector for 110V and 220V charging plus an extra port for ‘Level 3 DC Fast Charge’ and the batteries have been well protected from the elements. 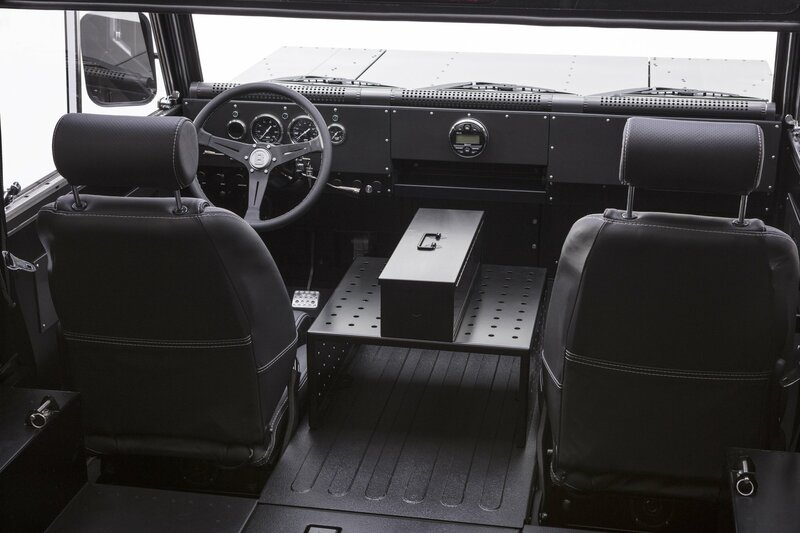 Bollinger intends for its customer to get down and dirty in the B1 so the lithium ion packs are encased behind four layers of metal casing and watertight seals, enabling the batteries to withstand submersion under a metre of water for up to 30 minutes. Who says water and electricity can’t mix? So then, the looks. We actually like the functional, Meccano-esque styling. 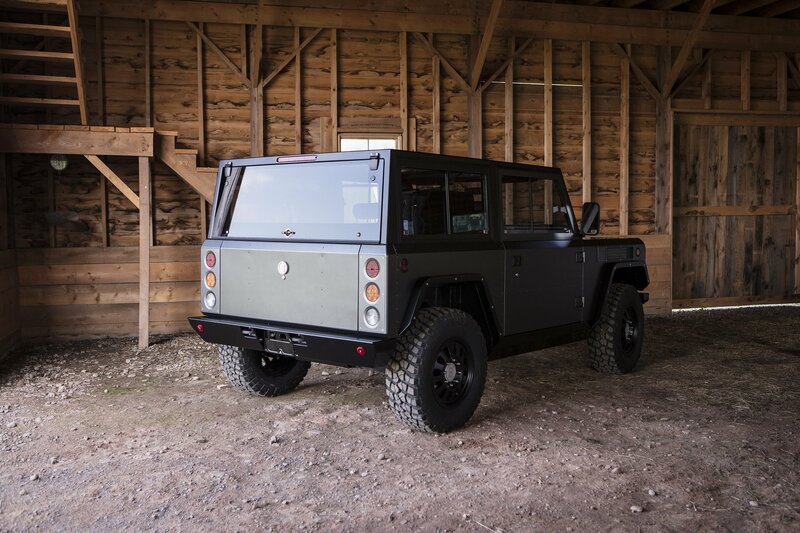 The Bollinger B1’s boxy looks remind us of early Willys Jeeps and such like. The ‘Gunhouse Grey’ paintjob, complete with satin black accents, continues the utilitarian vibe too. 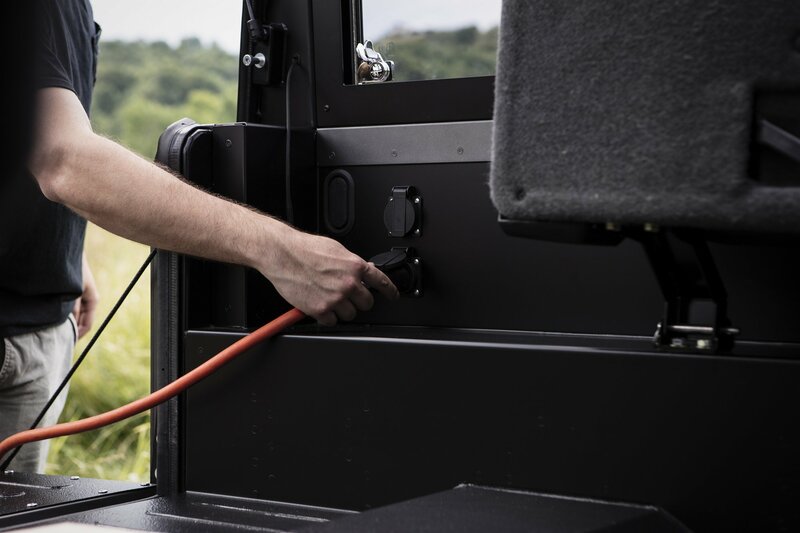 With the three-box design, the B1 can be had as either a closed-back truck or an open pickup and Bollinger has thought long and hard about maximising storage potential. The front end features an opening hatching that allows the B1 to carry 12-foot boards with the rear tailgate up (extending to 16-foot with the rear hatch down). Trips to IKEA will never have been easier. Apparently, the interior – complete with a classic, leather-trimmed wheel – can be hosed down for ease of cleaning. How? The dials and switchgear feature rubber seals and gaskets, while the floorpan is coated with polyurethane. Tempted by the chunky off-road EV? You can reserve a spot on the build sheet right now with no need for any money to change hands before $1,000 is required as a deposit in early 2018.